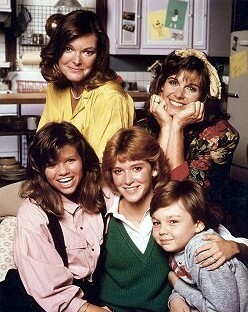 Fourth Grade Nothing: TV's Best '80s Moms! Loved this post! It brought back a lot of good memories. I loved watching these shows. Oh the memories of watching all of those shows. All good choices, but my favorite "mom" was Erin Gray on Silver Spoons. I guess she eventually became the mom, but she was my very first celebrity crush. 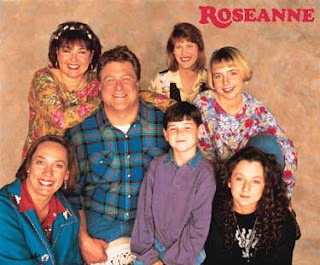 I loved them all, but could relate to Roseanne, (early Roseanne) the most. Couldn't relate at all, to later Roseanne. I remember all these shows well....I vote for Edna on Facts of Life. I loved that show...and she was awesome! Roseann gets my vote only because my sons have told me several times that if they made my life into a movie, they needed to get her to play the part of me. Johanna Kerns and MBB. Wow! Those moms really had it good. Even during their lifetime TV druggie movie phases. BTW...made ya blog of the day. I know. I know. you're sick of it. Great picks and post, Ally. 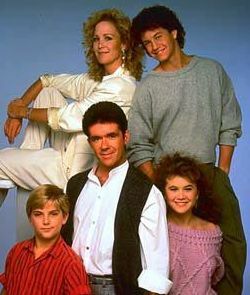 Family Ties was one of my favorites. (I had a big crush on Michael J. Fox). I loved the scene when she's helping Alex with his tie and convincing him to go after Ellen (his real life wife). That was priceless. I always loved Kevin's mom (Mrs. Arnold) from The Wonder Years, Jill Taylor from Home Improvement, and also I could always seem to relate to Mrs. Brady, too. I think I had a major crush on Rebecca Katsopolis from Full House. Also, who couldn't totally relate to Estille Costanza? 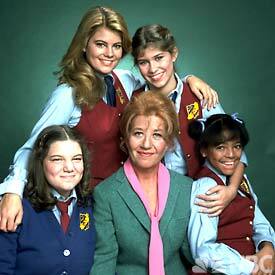 I adored Maggie Seaver when I was a kid... and loved all of these shows. 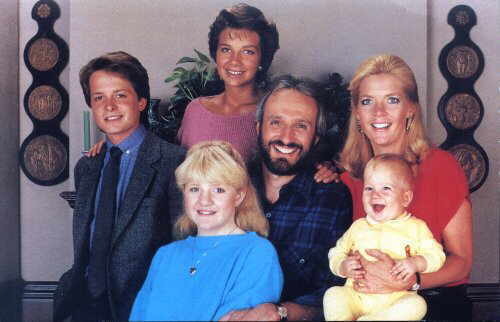 My room's walls were littered with pin-ups of both Michael J Fox and Kirk Cameron.